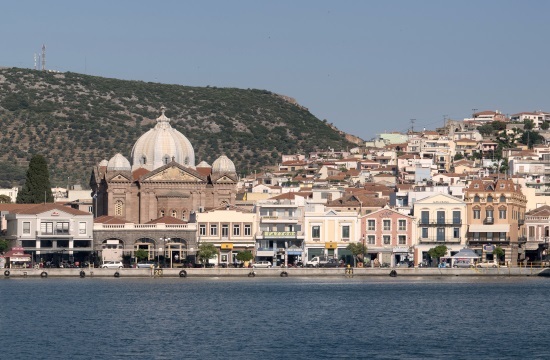 LESVOS, Greece – The 4th Lesvos Enduro Mtb, a two-day mountain-biking tournament involving Greek and international athletes, is taking place on the island of Lesvos on April 13-14, according to ANA. Agiassos is an area of particular geological importance, as the bare peak of Mount Olympus reveals the geological history of Lesvos and opens a window to the intense and spectacular tectonic forces that destroyed the old oceanic plateau of Tethys and moved the ophiolite rocks of the sea onto land. The event is co-organized by the North Aegean Prefecture, the Natural History Museum of the Lesvos Petrified Forest and the Agiassos Reading Room and is supported by the Lesvos Cycling Association, the Hellenic Federation of Cycling and many other organizations and volunteers.